I can hardly believe it myself, but today I watched a military parade, the first in my life. 4th of June (1867) is the birthday of Baron Carl Gustav Emil Mannerheim and official flag day for the Finnish military. 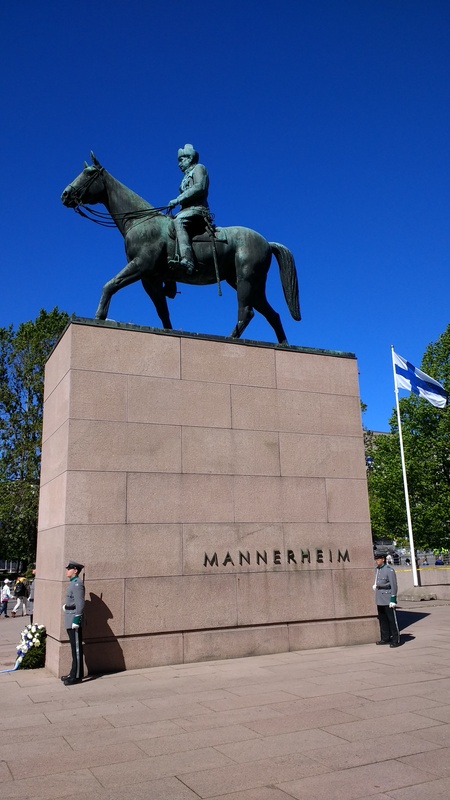 As it was the 150th anniversary of Mannerheim’s birthday and Finland is celebrating 100 years of independence, also thanks to the incessant efforts of Marshall Mannerheim, it was to be expected that the celebrations would be somewhat larger than usual. 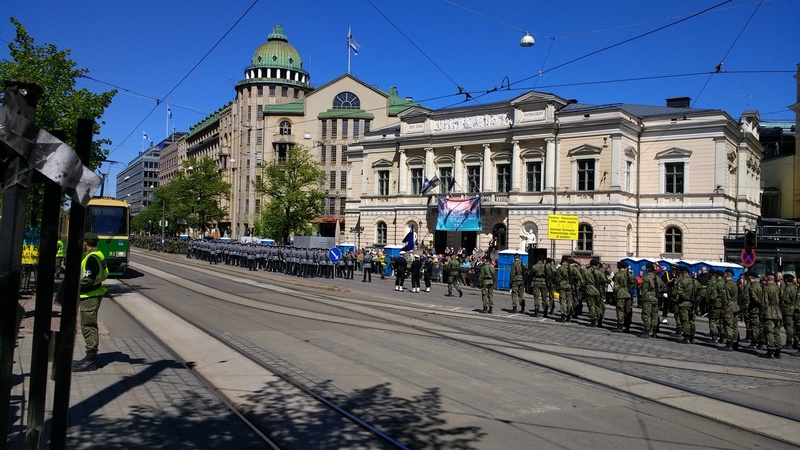 Helsinki city centre was pretty much closed down and taken over by military parades, flight shows and thousands of spectators. Being German, everything connected to the military has always been loaded with ambiguous feelings for me. If I had anything to say, there wouldn’t be any military on the planet at all. But living in Finland for many years and working as a tour guide, i.e. having to explain to visitors the history of Finland, has allowed me to understand to a certain extent why a small nation with the Russian bear as it’s neighbour might want to have a military. Without it, Finland wouldn’t exist as an independent nation today. In addition, the Finnish military has a clear focus on self-defence, even the name says it: puolustusvoimat = defence powers. It’s something like the claws of an otherwise relatively small tiger, but at least they are demonstrating that they won’t go down without a decent fight. Still, having spent 17 years with raising a young man and then watching hundreds of young men marching along for the theoretical purpose of defending a country, if need be, with their lives, is not an uplifting sight for me.